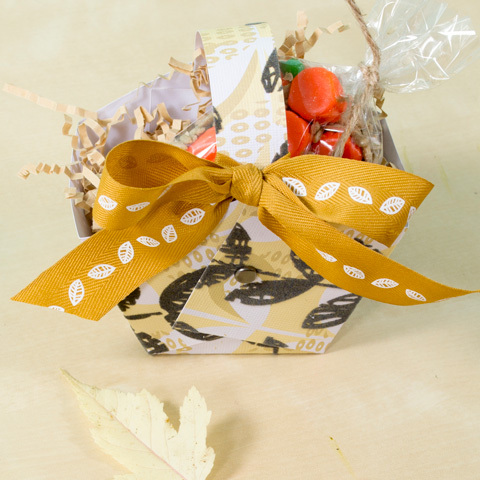 Today we are sharing one of our favorite go-to fall treats! 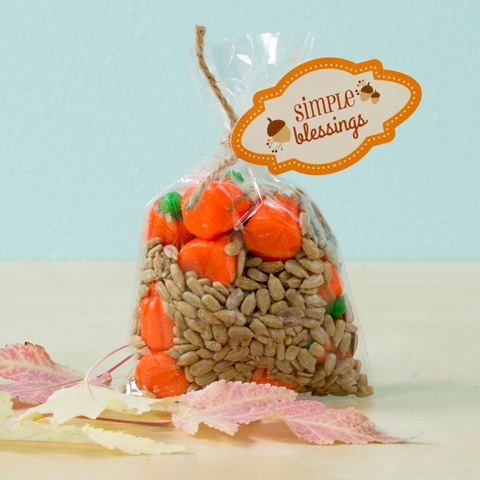 It's the perfect sweet and salty combination of sunflower seeds and pumpkin candies. There are so many cute ways to package it! You can put it in a clear bag, tie it closed with jute and add a simple tag, like we did above. You can put it in a handmade basket. These are so adorable and easy to make with scrapbook paper! Follow our directions here. The last idea is to put a bag topper on it, accented with stickers. 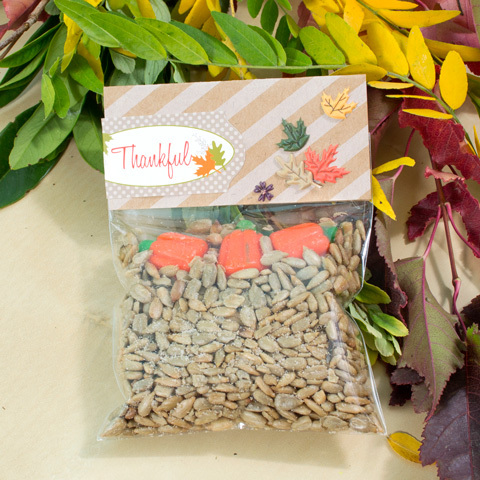 We hope you like this idea and can use it for your Thanksgiving tablescape or give it to someone who needs a little "thank you" gift.